Max Leveled Habs...how many do you have? I have decided to complete hab upgrades on each hab before moving on to the next hab. So far I have 6 complete but this right here is holding me up. I cannot seem to get the tokens to complete it, it is sooooooooo frustrating. So how many do you have complete. @nynaevelan None so far. A lot of my favorite dragons happen to be Light and I want to keep them together, so I think I’ll try to make light my first max level. But since I only have 3 terras because of their low max gold, I’ll also try for that one since I want to get rid of the other two for legends. I have autism and struggle with wording. If I sound rude, angry or awkward, I don’t mean to be! I usually avoid to max leveling my habitats because of the gold capacity gain. I max leveled only the elements that I have 1 or 2 habitats - terra, flame, nature and sea. I am at a point in my city where gold capacity is strong enough to net me a good output, yes it could be better but I want to make more room for dragons on my islands and out of the dragonarium before I worry about more gold output. With that said thanks to the electric/flame quest I just got one more and another electric on the 6th level. 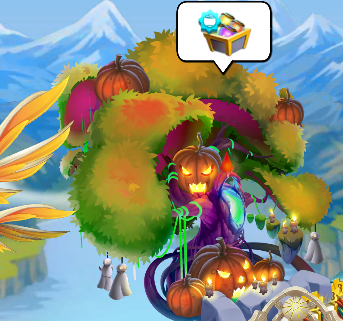 The flame I am not too concerned with since I only have two of those on my island, one is already maxed and the other is empty right now so no rush on that one. 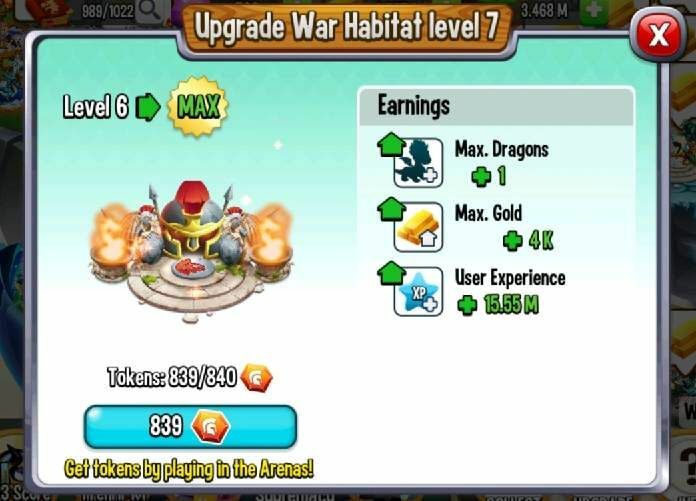 I'm always buying whichever upgrade is cheapest at any given time for a given element, not focusing on maxing individual habitats. This provides the biggest increase in both dragon AND gold capacity per token spent, so statistically is the optimal approach regardless of which you're more concerned about. Maxing is only practical if you're trying to get rid of habitats of a particular element. This approach has given me 2 at max level so far - Ice and Electric. The final round of the token quest will add Flame to that list. Same. I'm levelling up the cheapest each time. I have several at level 6 but none maxed at level 7 yet. @scott-clark that is what I was doing originally so i have many at different levels.